That’s such a beautiful sweater! I particularly love the bottom edge. 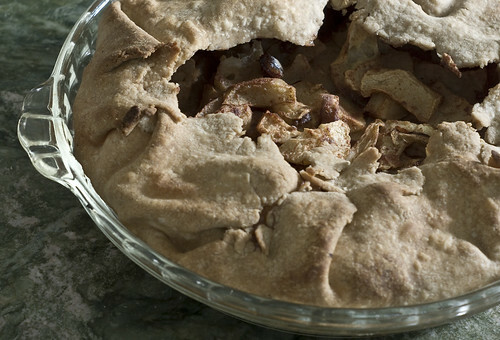 And my vote, when it comes to the apple pie question, is YES PLEASE. The pie looks pretty good! That is a truly gorgeous sweater! I love the way it drapes and especially the color. Very flattering. What a beautiful sweater..it fits beautifully too. Gorgeous sweater, V! Absolutely gorgeous. Love the buttons too. And oh, apple pie. yum! Stunning! I love the color and the fit is amazing! Great job! 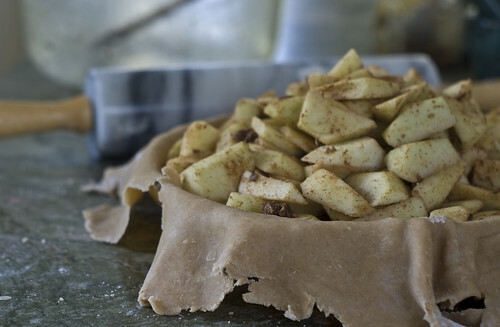 Your apple pie is making me hungry. I have some apples that are just calling to be used. 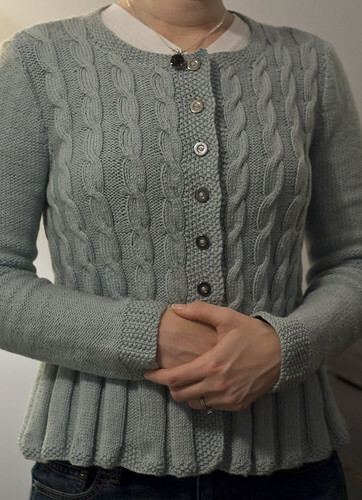 This is a lovely sweater, falls beautifully and fits like a glove. Apply pie looks pretty good too! I can’t decide which one delights the eyes more – another gorgeous sweater or that nummy, nummy pie!